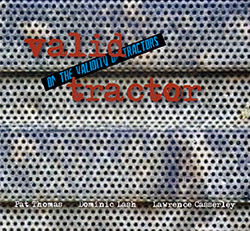 Each track on this album is named for a tractor brand (Eicher, Kubota, &c.) and the liner notes are directions regarding a tractor's maintenance, as the ea-trio of UK improvisers Pat Thomas on piano & electronics, Dominic Lash on double bass, and Lawrence Casserley on a signal processing instrument provide 10 inventive improvisations that validate a sound working condition. 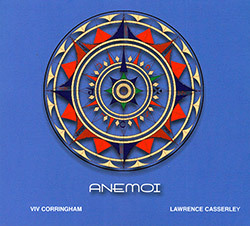 Lawrence Casserley is a pioneer of real time electroacoustic music, since the 60s working with other artists and developing his Signal Processing Instrument, using physical gestures to process and morph sounds; here he works with British vocalist and Deep Listening teacher Viv Corringham in an other-worldly collaboration of voice and electonics. 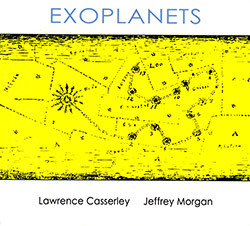 Two enounters between UK electroacoustic composer and performer Lawrence Casserly on his Signal Processing Instrument and American free jazz alto saxophonist Jefrrey Morgan, recording both in the studio in Cologne, Germany in 2016, and in concert at The Loft; a rich, subtle, and detailed astronomical encounter blending stellar electronics and responsive extended playing.